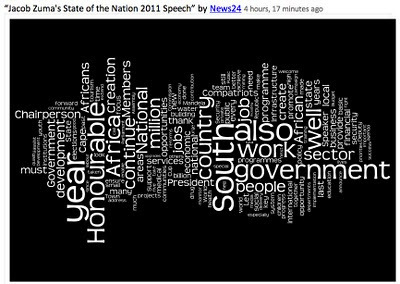 This image was floating around Twitter today, a lovely word cloud of the Zuma's State of the Nation Address. 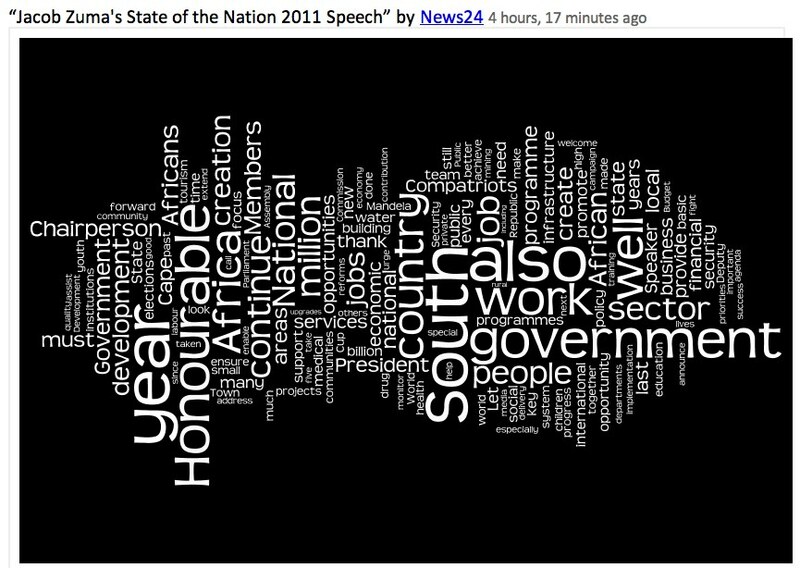 I think originally by the guys at News24. Now - I love Wordle. 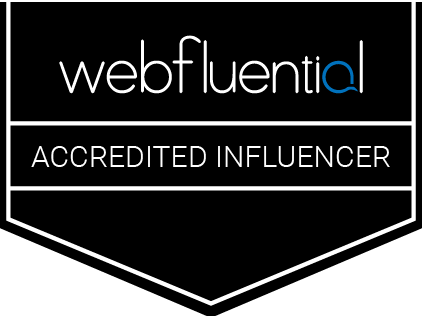 Use it with all my consulting clients as a new media way of visualising information. But it has one problem: it can't measure phrase frequency, only word frequency. Which often means the context of the sentences or topics are lost. Did Zumas talk about world ECONOMICS, world PEACE or world WAR? You wouldn't know by just looking at the cloud. What if we ran this through an SEO phrase density analysis tool? After all, SEO is about recurring phrases. What would we get then? Sitting at the "Hell No We Won't Work" Friday Coffee session with The Daily Maverick, I decided to give it a whirl. Thanks Phillip de Wet, who has the ability to access servers and publish html files with gay abandon (a plain text web copy of the speech was necessary for this experiment). The results are interesting - so interesting that we should do this more. 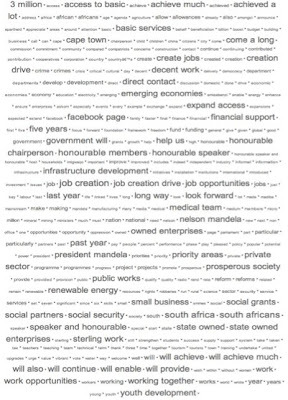 Phrase analysis combined with keyword analysis gives us a much clearer context to the speech.